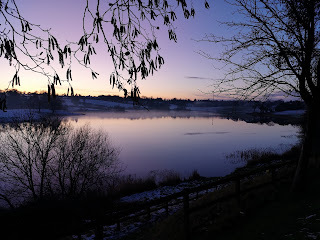 I am, in no particular order, a knitted lace enthusiast, a scribbler, a sometimes designer, artist, taker of many photos, sun chaser, muse, lover of colour and bygone days. I almost forgot! 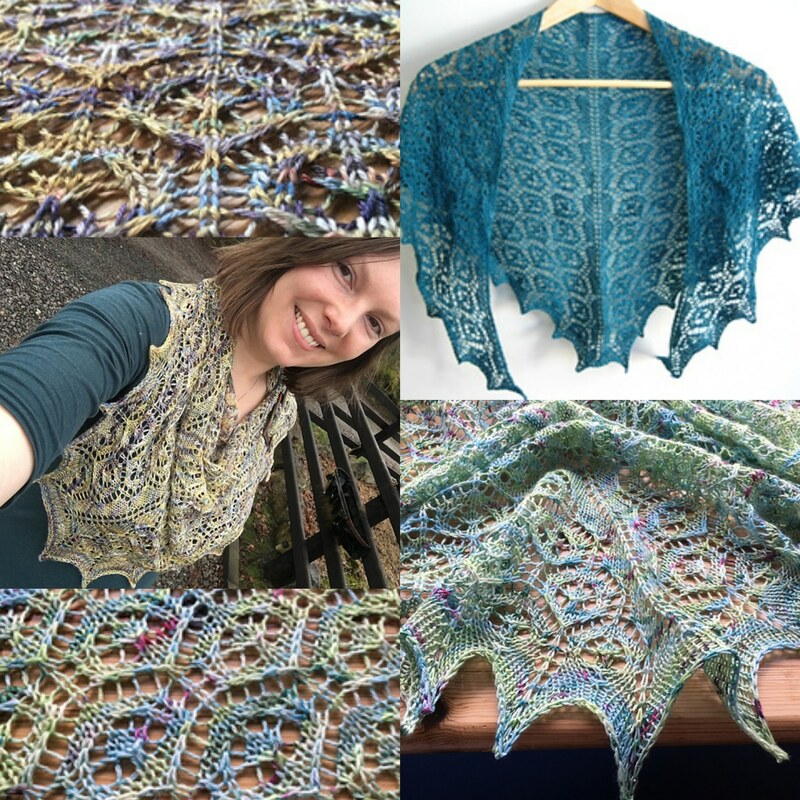 I released my Helstone Shawl Pattern too. I finally took the plunge and sent it out into the world. 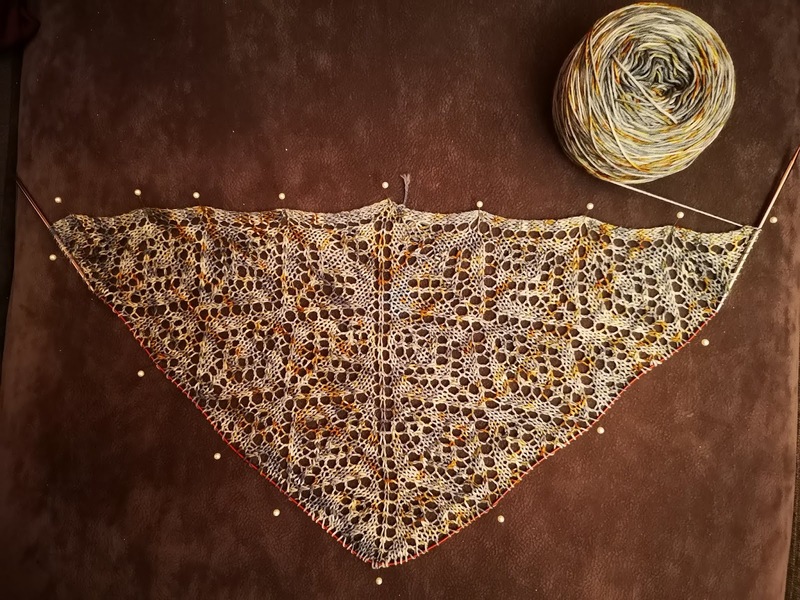 It is honestly my go to shawl pattern and I have knit it three times already and think I could probably go again. 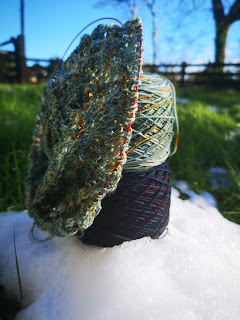 It really takes semi solid hand dyed yarns well, especially with a bit of silk content. The result is almost a liquid hug in a kaleidoscope of fairy lights. You can see how much I like it, why not try it yourself? I will add a link to my pattern tab at the top of this post. I am seriously considering this little blog and whether or not to keep it going. 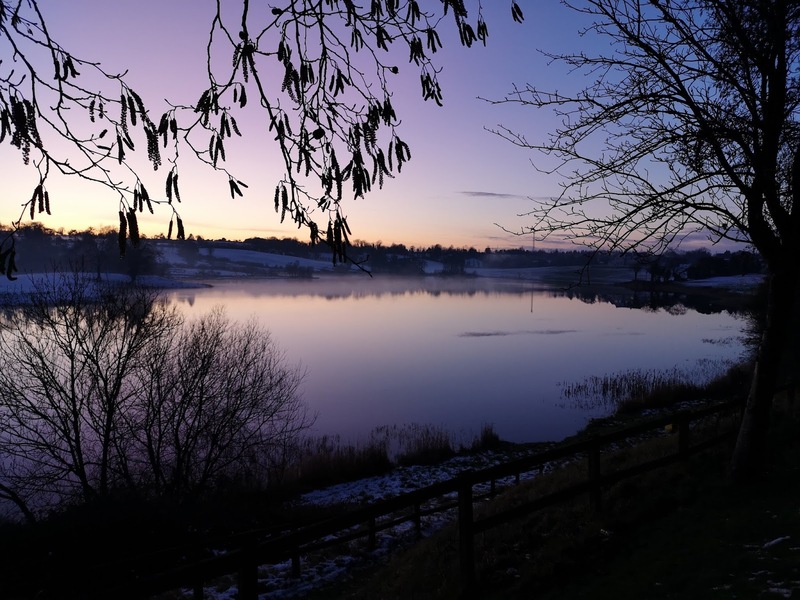 I know that I have been terrible at writing blog posts in the past 12 months, but I sort of ran out of steam. 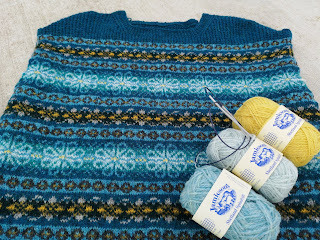 I didn't run out of knitting however, but I do wonder if people are still enjoying blogs in general. For whoever is reading this, can I ask you to leave a comment, letting me know if you enjoy this? I think if I even had one person comment, it would probably give me the boost to try and be better at it! Thank you so much in advance. Anyway, so what have I been up to? I am busy as always with both writing and knitting, they seem to be my hobbies and obsessions of choice. The two have always been there since childhood and they comfort and keep me focused like nothing else does. I might even include a little more creative writing here, if nobody has any objections. I don't like separating out blogs or pages, because then I feel twice the guilt when I don't manage to add content, hehe. I have less free time now, that I used to but it still hasn't stopped me knitting, it has just made me careful over what projects I now choose. 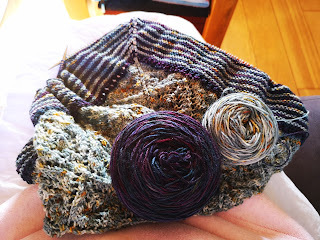 Currently I have a shawl almost finished. It's my own design, I'm calling it my Bantry Shawl, as the yarn was bought in Bantry Yarns, Bantry, Co. Cork in October last year, while I was at a family wedding. The shawl is a two colour triangle, knit from the top down and is in both stocking & garter stitch, for a little contrast. 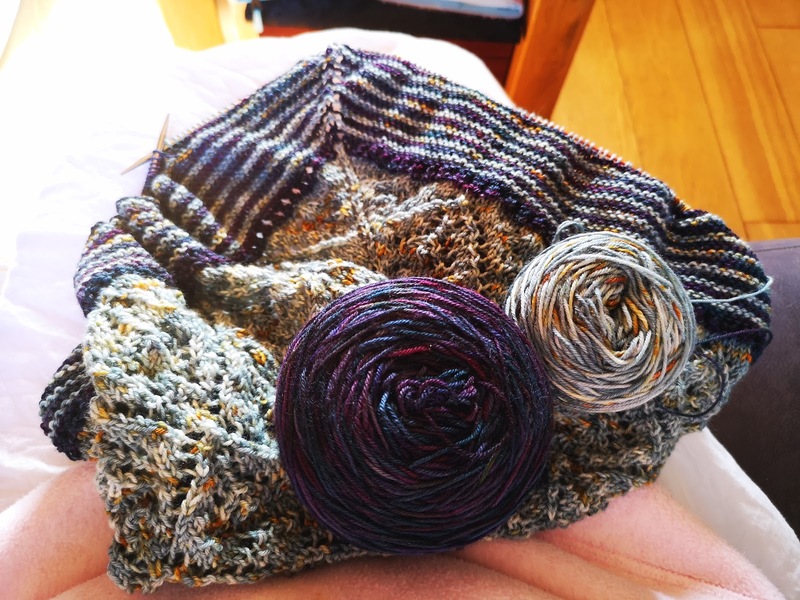 The colours I chose were from The Moon and Sixpence, hand dyed by the wonderful Annie in Cork and I just love how she uses colour as her inspiration. The skeins I bought had the most beautiful names, Midnight over Whidday and Bearhies Rockpool. I just love how they sit so well together. I am on the edging now and trying to use up the bulk of the skein. I have ripped and redesigned the edging several times now and I'm hoping third time's the charm. 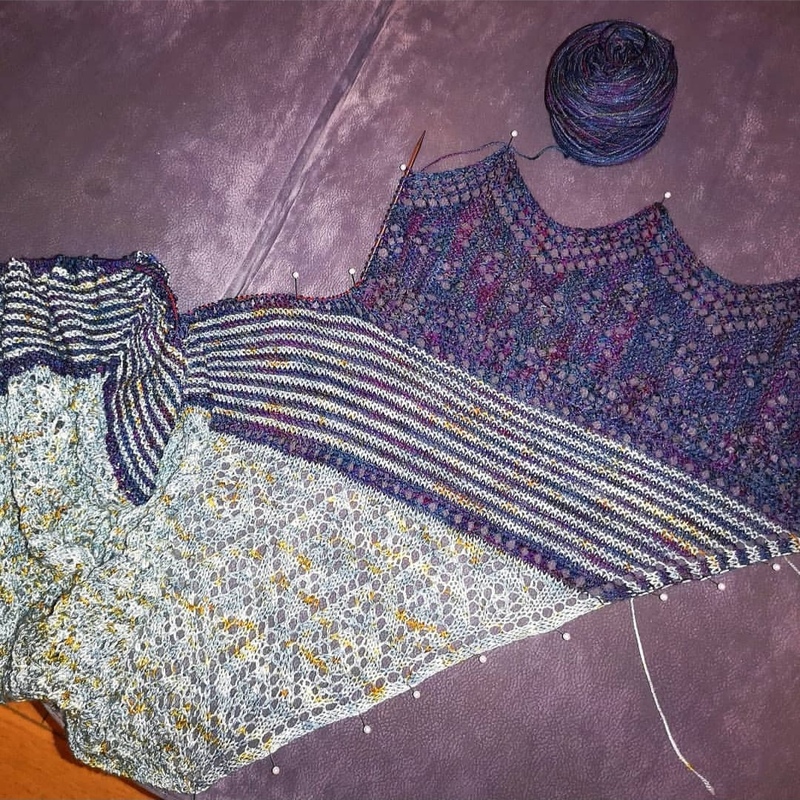 I can't wait to get it finished and blocked, because it is so smushy and cosy and the colours will compliment so many outfits (by that I mean my pyjamas). 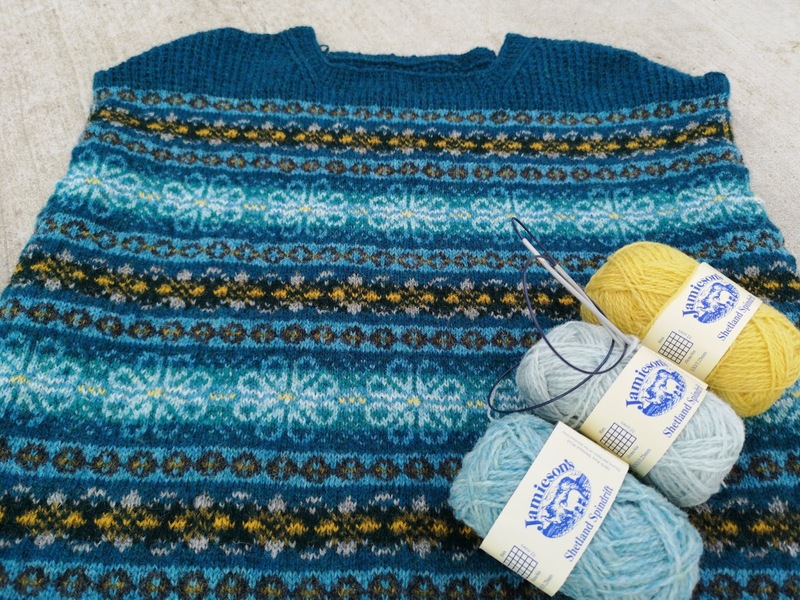 I am also three quarters the way through a jumper in fair isle and I will get straight back to it once the shawl obsession has abated. 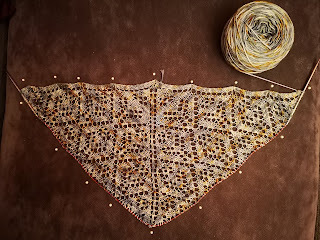 I will leave it there for now, I will be back with more updates on the shawl. Leave a comment and let me know what you are knitting, or writing even, the more the merrier. I collect fountain pens, stationery, books, Steiff bears and I could possibly insulate my house with the amount of yarn I have amassed over the years. I knit fine lace and enter a lot of writing competitions, I hope to be attending award ceremonies in the near future. I also have a vivid imagination. All Smiles Over This Latest Steiff Teddy Baby Find! A Chance To Own a Stunning Lace Shawl! Sabbatical Part 3: Arriving in Reykjavík and Hot Rivers. Leather Satchel Co - What's in my bag? Winter is upon us and I need more woolies! All photos are my own unless otherwise stated, please do not use or share without permission. Ethereal theme. Theme images by blue_baron. Powered by Blogger.